Thursday August 2, 2018 - Third Way Alliance party leader, Dr Ekuru Aukot, has asked President Uhuru Kenyatta to sack Tourism Cabinet Secretary, Najib Balala, immediately after he was caught on camera insulting Kenyans. Balala made the remarks on Monday after Kenyans piled pressure on him to resign over the death of 11 rhinos in Tsavo National Park. Balala’s sentiments generated fury among Kenyans who accused him of arrogance. 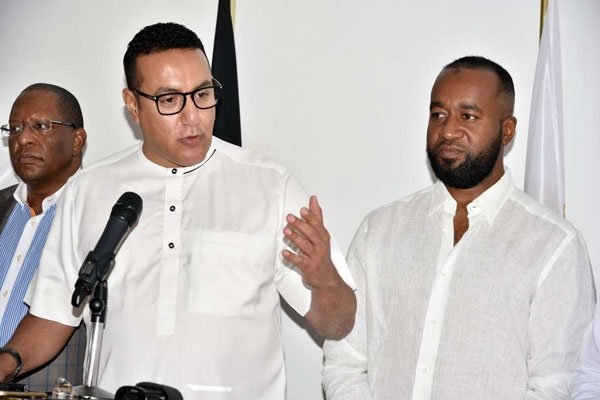 Third Way Alliance Secretary General, Fredrick Okango, asked the Head of State to fire Balala over his arrogance.